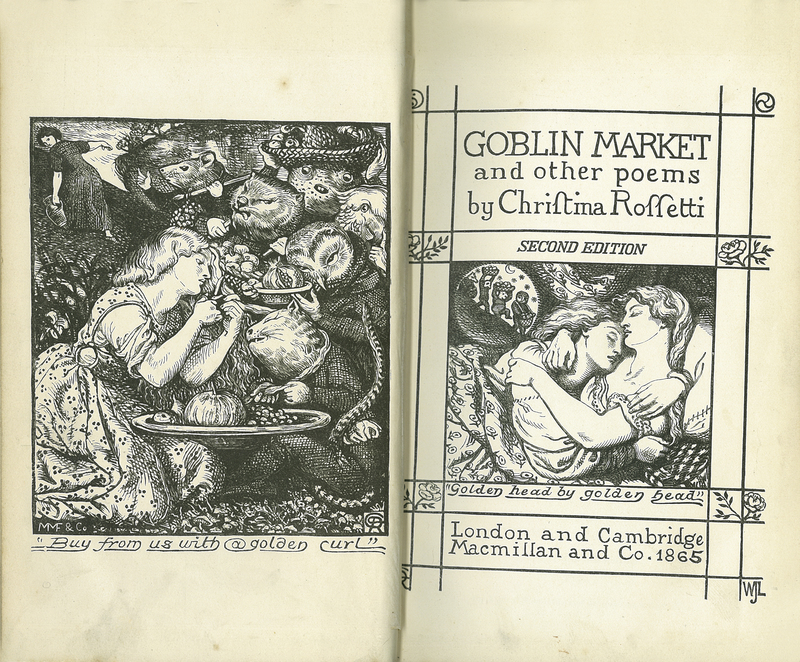 Here is the title page and frontispiece illustration for Rossetti’s second edition Goblin Market, published in 1865. The double-page spread was illustrated by her brother, Dante Gabriel Rossetti. Christina Rossetti, “‘Goblin Market’ and Other Poems. Second edition,” ourheritage.ac.nz | OUR Heritage, accessed April 26, 2019, http://ourheritage.ac.nz/items/show/10642.